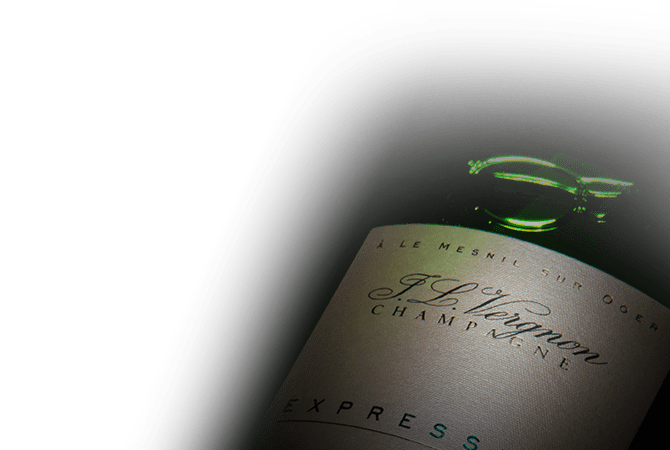 Located in the famous town of Mesnil sur Oger, in the heart of the also famous Côte des Blancs, the JL Vergnon champagnes are committed for five generations now in the development of champagnes marked with tradition, a philosophy cherished by Jean-Louis Vergnon, their founder, that is still carried on by the current generation. Based on the mineral character of the Chardonnay, but also on balance and elegance, these champagnes come from a vineyard of a singel grape variety, classified as Grand Cru 100% Blanc de Blancs, that is to say with unique thirty year old chardonnays, grown on different plots facing East on a calcareous soil. The result is a coherent range of wines, each one with its own strong character.